This year the Association of State Dam Safety Officials along with the Federal Emergency Management Agency (FEMA) are working to heighten awareness for dam safety. FEMA and state programs throughout the nation work tirelessly to ensure citizen’s safety. 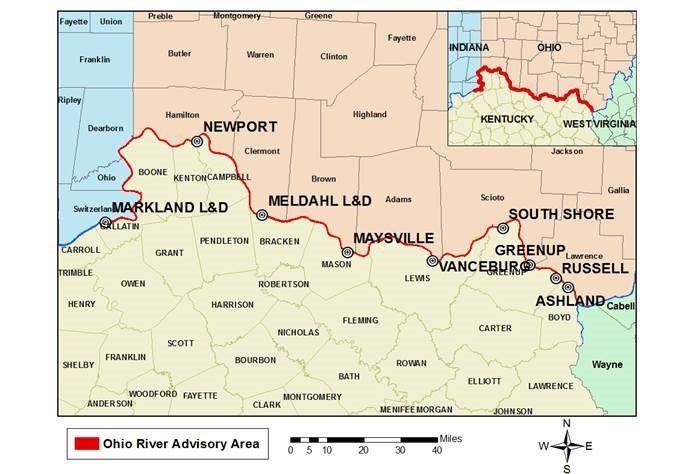 Kentucky’s Energy and Environment Cabinet has recognized 33 surface water treatment plants in Kentucky for meeting the goals of Kentucky’s Area-Wide Optimization Program (AWOP). Governor Steve Beshear has proclaimed May 3-9, 2015, as Drinking Water Week in Kentucky to recognize the importance of source water protection and conservation, as well as the value, importance and fragility of our state’s water resources. This year marks the 41st anniversary of the Safe Drinking Water Act, which ensures quality drinking water and protects the health of our citizens. The Kentucky Infrastructure Authority (KIA) and the Kentucky Division of Water (DOW) are announcing the 2016 Clean Water State Revolving Fund (CWSRF) and the 2016 Drinking Water State Revolving Fund (DWSRF) Call for Projects. The 2016 Call for Projects will be open from October 1, 2014, to December 12, 2014. Project submittals will occur electronically and will be coordinated through the Area Water Management Councils. No paper submittals will be accepted. The Division of Water is providing citizens with the opportunity to check to see if their public water systems are in compliance with the federal Safe Drinking Water Act when they review a Division of Water (DOW) report that summarizes violations incurred by public water systems each calendar year.